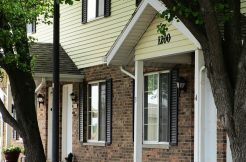 Gardner Management Company was established in September of 1980 for the purpose of developing and managing real estate throughout the State of Michigan. Since our inception, the company has grown steadily and is now recognized as one of the largest professional management firms in western Michigan. 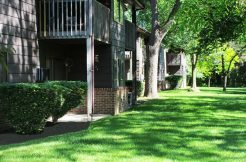 Gardner Management currently manages over 3,300 units of residential and condominium property. 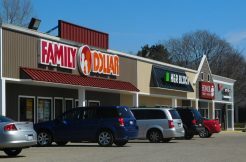 We are also responsible for approximately 166,000 square feet of commercial retail/office space throughout southwest Michigan. Jeff Gardner is a 1974 College of Business Dean’s list graduate of Western Michigan University. In 1981 he received the designation of Certified Property Manager from the Institute of Real Estate Management. Mr. Gardner holds a Michigan Real Estate Broker’s license and Residential Builders license. Mr. Gardner’s years of experience include the management of commercial, residential and light industrial property. 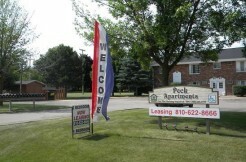 He has managed FmHA, MSHDA and HUD developments throughout the State of Michigan. Over the past 30 years, Mr. Gardner has been involved in the development and construction of numerous commercial and residential real estate projects. He also serves as a development consultant. Mr. Gardner was one of the founders of Keystone Community Bank in Kalamazoo and currently serves as its Vice-Chairman. Ryan C. Gardner is a 2001 graduate of the University of Kentucky. Mr. Gardner is responsible for the condominium portion of the Gardner Management portfolio. He is also responsible for the daily operation of the main office and works as a consultant for Associations outside the Gardner Management portfolio. Mr. Gardner is also a licensed Real Estate Salesperson in the State of Michigan. John M. Novak is a 1992 graduate of Purdue University and 1996 graduate of Loyola University – Chicago School of law. Mr. Novak has practiced corporate and real estate law in Michigan and Illinois for over 17 years. Mr. Novak has extensive experience in all aspects of the real estate industry, including the development, financing, permitting, zoning, construction, leasing, sale and maintenance of residential, commercial and industrial real property. Mr. Novak serves and has served on various boards and committees, including the Kalamazoo board of directors of Mercantile Bank (formerly Keystone Community Bank), and the executive committee and board of directors of BC/CAL/KAL Inland Port Development Corporation FTZ 43. John Novak also holds a Michigan Real Estate Broker License.